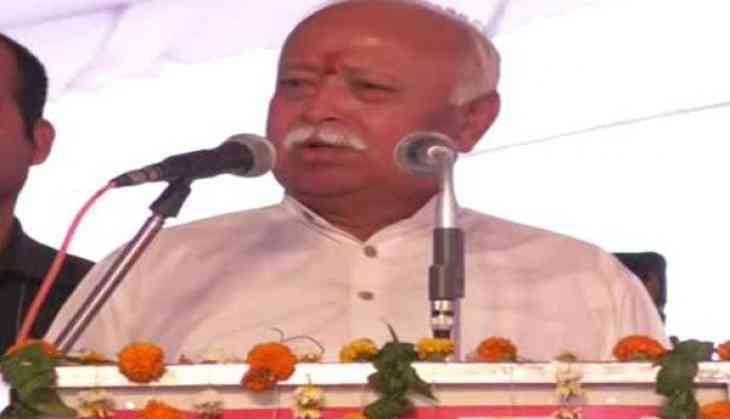 Rashtriya Swayamsevak Sangh (RSS) chief Mohan Bhagwat has said the construction of Ram temple in Ayodhya is their resolve. "Ram Mandir banana hamari aapki kewal ichha nahi hai, hamara aapka sankalp hai. Aur ye sankalp hum poora karenge. (Construction of a Ram temple (in Ayodhya) is not just a desire but it is our resolve)," Bhagwat said while addressing a gathering after unveiling a 52-feet t all statue of Maharaja Chhatrasal at Mausahaniya here on Wednesday. Bhagwat suggested to the people that those who wanted to build the Ram temple would need to follow in the footsteps of Lord Ram. He also recalled medieval Indian warrior Maharaja Chhatrasal and said that he was a brave warrior who defeated his enemies with the help of a small number of soldiers.